Bored one afternoon with a chessboard and camera…. Illegal Move from Team Rock-It on Vimeo. 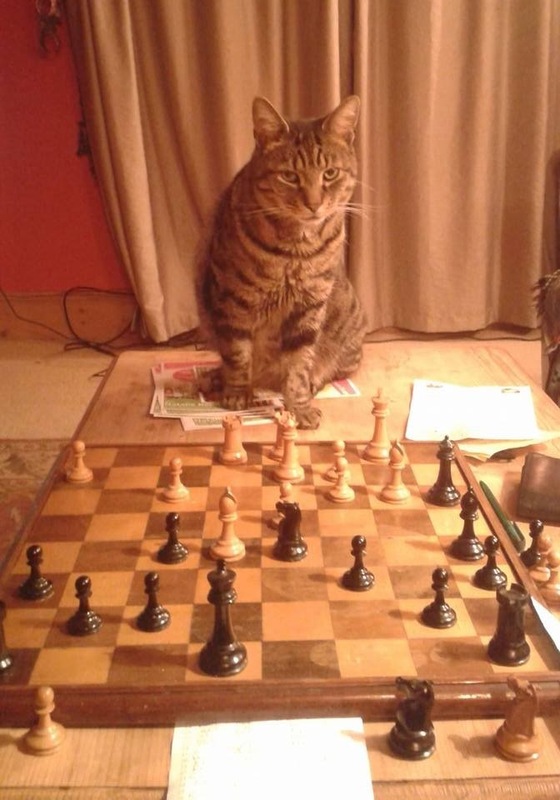 Oscar, Dave’s cat, reviewing his game against Steve last night. I was wondering how Henry had revolutionised his chess over the last twelve months.